Trees South Africa plants up a Higgovale rooftop in Cape Town! Can you imagine a forest of trees on your building's rooftop, overlooking the Cape Town harbour at the foot of Table Mountain? This was the dream of one of the residents of Higgovale, and Trees South Africa made their dream became a reality. 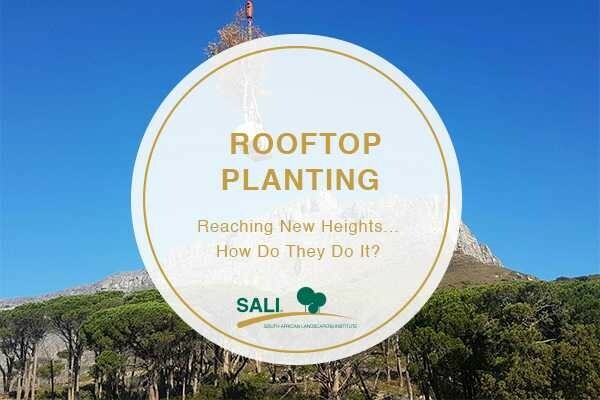 "Over a two-day period, and in collaboration with Ruru Landscaping, a 95-ton mobile crane was brought on to site to assist with the placement of the trees on top of the roof structure and 28 trees were planted", says Dag Willems of Trees South Africa. Not only were the trees lifted to new heights, but over 100 cubic meters of compost was airlifted onto the rooftop as well! The logistics required to make this happen meant that flagmen, buzz of the radio communication, road closures and the humming of vehicle engines struck a vast contrast against the tranquility and serene environment created on the rooftop by the instant forest. With species ranging from fruiting trees, such as pomegranates, apple, pear, plum and one grand mulberry tree, as well as the beautiful indigenous milkwood and cross-berry, all the way through to exotic silver birches and Japanese maple trees, this forest makes for a magical adventure. Almost as if you have stepped out of the city and into a new world! And if you ever feel inspired to make your dreams a reality, do not hesitate to Trees South Africa a call! A video of the planting on this project is available on the Trees South Africa Facebook page. Click here. Here is some great footage captured by Trees South Africa on the day of rooftop tree planting and a few shots of a few weeks after the completion of the installation.